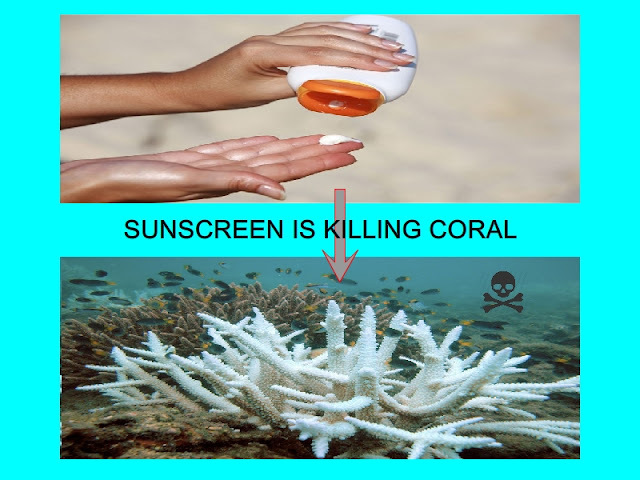 It may sound odd to you but yes, it has been proved recently that sunscreen lotions can harm the coral reefs. You find it hard to believe but it is already happening in many places around the globe. A new research conducted by a group of experts has uncovered that shocking fact. It has been published in Archives of Environmental Contamination and Toxicology. One may wonder about the connection between the sunscreen lotion that you use and the coral reef that sits deep inside the ocean. It is simple, by using sunscreen lotion before bathing in the sea. Most of the reputed sunscreen band uses a chemical named oxybenzone or benzophenone-3 or Milestab 9 in their products. The chemical is well known for its capacity of absorbing UV rays of sun. That chemical has roll in coral breechings and die offs. Tourists use a lot of sunscreen before diving into the sea. The sea washes the chemicals from their body. In that way, oxybenzone is mixed with the sea water. A little bit of it is enough to harm a considerable amount of coral population. We cannot blame only the beach goers. We who regularly use the sunscreen wash it away in our bathrooms. That water flows through the municipal sewage system to the sea. This is also a big source of oxybenzone pollution of the oceans near the coastal areas. The juvenile coral is mostly sensitive to the presence of that chemical in water. The researchers have found that four types of toxicity can be linked with oxybenzon. It is found that coral bleeching is increased by the presence of the chemical. 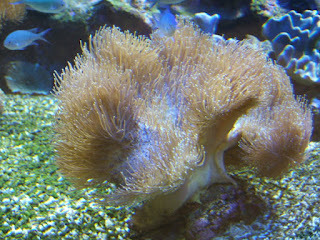 It decreases the capacity of the coral to adjust with the change of temperature. As a result, mass death and erosion of coral reefs take place. Oxybenzone has the ability to alter the bodily functions of the baby corals. The corals infected by the chemical encase itself with its own skeleton and dies as a result. That sunscreen lotion ingredient is also capable of changing the DNA of a coral. It makes them unable to reproduce. In this way, the chemical can kill a whole colony of corals. Very little amount of oxybenzon can trigger the toxicity in corals. It is as low as 62 parts per trillion, equivalent to a drop of water mixed with 6 and a half Olympic sized swimming pools. The water around the US Virgin Islands has a concentration of oxybenzon which is 23 times higher than the safe level. While the coral reefs are so sensitive to the existence of oxybenzon in the water, 14000 tons of it is mixed with the oceans every year. That is why there is a correlation between the destruction of coral reefs and existence of nearby popular sea beaches. For example, Caribbean islands have lost 80% of its coral colonies. We know that our environments are changing. The weather is becoming warmer. The air is becoming more carbonic and the sea is more acidic. All these man-made environmental changes put much stress on the valuable coral reefs under the oceans. It seems that use of sunscreen lotion is another danger, probably greater than the above mentioned, to the corals. To tackle the problem, researchers advise to make people aware of the fact. The use of sunscreens before bathing should be a big no. 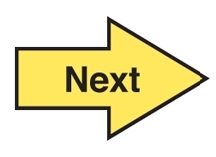 Limited or no use of oxybenzon is also proposed. There are other alternatives with similar capabilities which are not harmful to the corals. Use of sun protective swimwear is also a better solution of the problem.